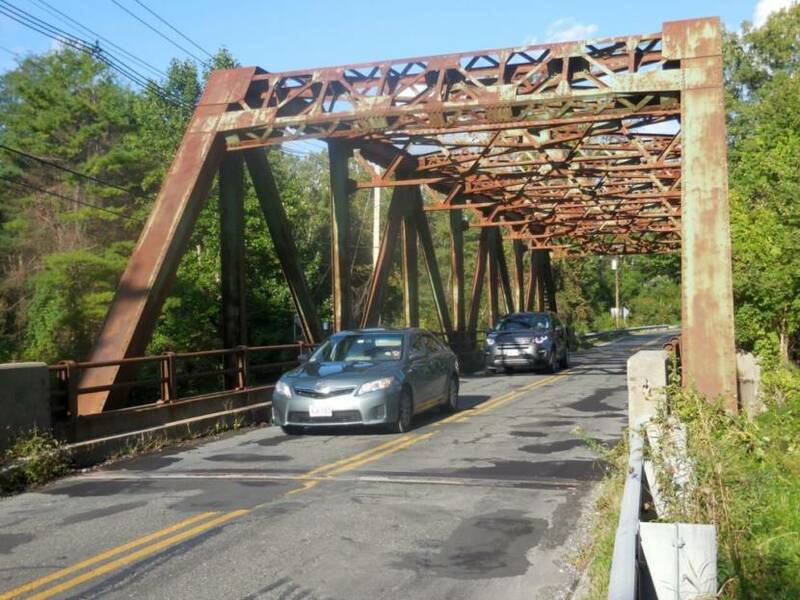 Cars proceed over the pockmarked decking of the Division Street bridge in Housatonic. The bridge provides a crucial link from the west side of Great Barrington to U.S. Route 7, the major north-south thoroughfare, and to the Berkshire Regional Hills School District's campus at the foot of Monument Mountain..
Great Barrington — It was inevitable — and it will be expensive. 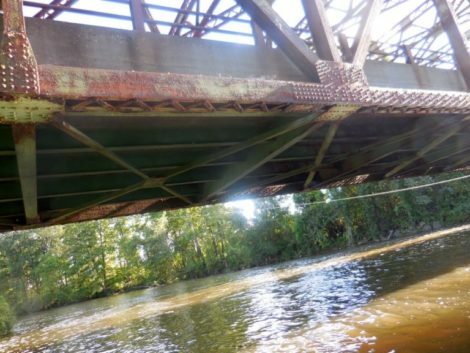 Buried in the proposed town budget for fiscal year 2020 is a request for $4 million to repair the Division Street bridge. 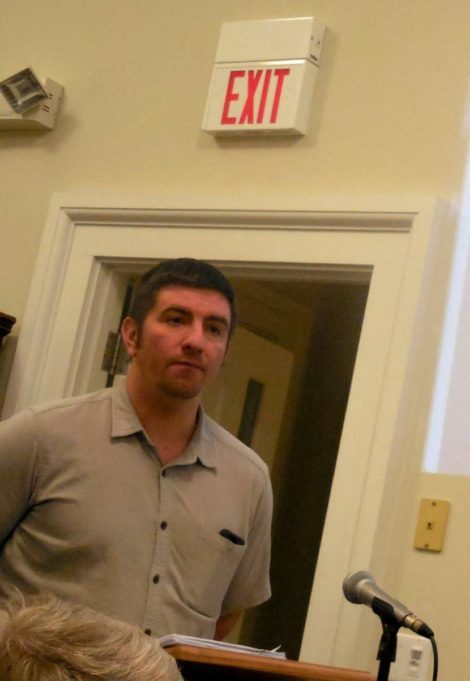 The request from Sean VanDeusen, who heads the town’s Public Works Department, shouldn’t have come as a surprise, but it still gave the Selectboard and the town Finance Committee pause last week during their annual budget deliberations. “This is not a do-it-yourself repair,” cracked Finance Committee member Tom Blauvelt. Actually, Blauvelt’s quip is an example of what the ancient Greeks called litotes, or understatement for effect. Since it is not located on a state highway, the Division Street bridge would be a town project. There is the possibility of state grant money, though it is not exactly a slam dunk, VanDeusen said. If no grants are forthcoming, “We’re going to have to fund it,” VanDeusen added. “We really need to make some improvements to that bridge.” If no repairs are made, VanDeusen said “it won’t be long before” the span will be reduced to one lane and eventually closed by the state Department of Transportation. Built in 1950, the Division Street bridge has a troubled recent history. 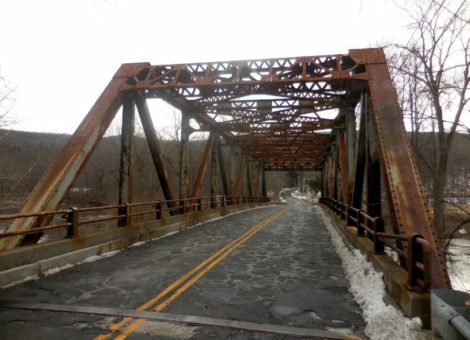 In September, MassDOT engineers declared the bridge to be “structurally deficient.” The town-owned bridge has been inspected by MassDOT at least three times since July 2015. 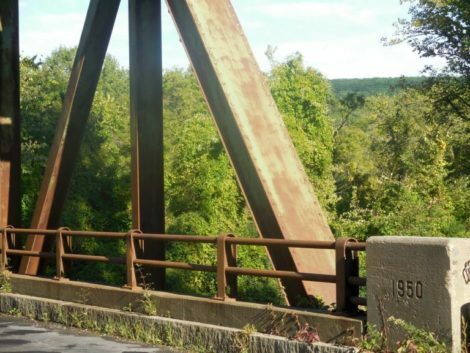 At that time, MassDOT recommended “Bridge rehabilitation because of general structure deterioration or inadequate strength.” The estimated cost was more than $1.7 million. But a “fracture critical” inspection in the July of 2017 found areas of light to moderate rust, a corrosion hole in a floor beam and “accelerated deterioration” in the decking. The railing and drainage system also appear to be compromised. At only 20 feet wide, the Division Street bridge is narrow and has no sidewalks or shoulders. 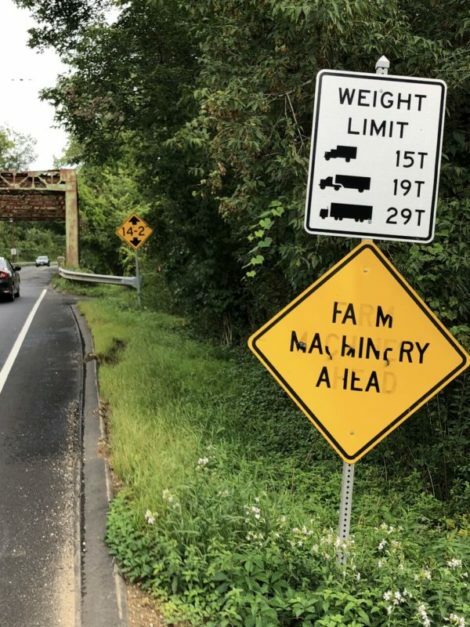 Residents complain often that overweight vehicles routinely drive over the bridge. As of 2013, the average daily traffic was 5,400, according to BridgeHunter.com. Van Deusen described the Division Street project as a 40-year fix. A new bridge would probably cost twice as much. It is not yet clear whether the bridge would be closed during construction or remain open with one lane. MassDOT says leaving a lane open is less disruptive to travelers and commuters (and so preferred by locals) but it prolongs construction time compared to closing the span altogether. 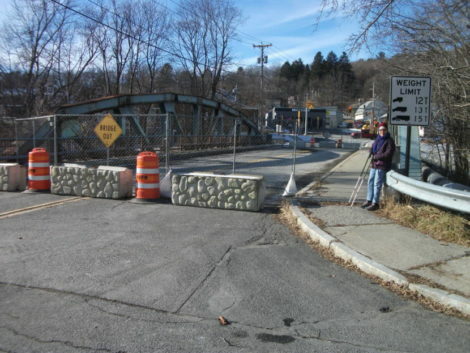 The Cottage Street bridge is scheduled to be replaced in 2020 but was closed abruptly last month to after MassDOT identified deficiencies that warranted closure to vehicles.” Sidewalks remain open. 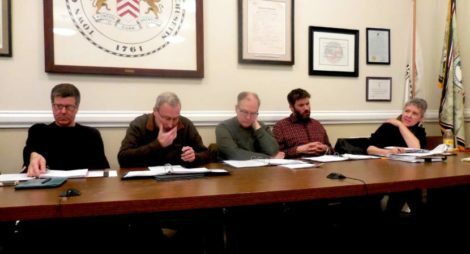 That project is being funded by a $4.4 million Transportation Improvement Program grant through the Berkshire Regional Planning Commission. Those funds, however, will not be available until 2023. Meanwhile, officials are working on a temporary repair plan that will allow the span to reopen until the replacement of the 84-year-old bridge can be installed. The latter is in the design phase. But the town’s bridge woes don’t end there. In VanDeusen’s fiscal 2023 capital budget request is $3 million to repair the Brookside Road bridge. VanDeusen said that bridge is essentially a twin to the one on Division Street, so there could be some savings in engineering costs. In addition, Brookside is in somewhat better shape than the Division Street span. And more construction is required elsewhere in town, though mostly not on the town’s dime. Next year MassDOT is expected to begin construction on a $2 million redesign of the intersection of Routes 7 and 23, including the replacement of the existing intersection near the police station with a controversial roundabout proposed by MassDOT. After the roundabout is completed, there will be a $6.9 million rebuild of Main Street from Saint James Place to the area of the Claire Teague Senior Center and National Grid office on Route 7. And beginning this spring, work will commence on a $2.1 million makeover of School, Church, Bridge and Railroad streets. Click here for an article on a town workshop on that project that was held in May. It includes video of the workshop. Sounds like it is time to take a step back, and to ask the State to do the same. The intersection of 7 and 23 is one of that actually works well right now, the way it is. The $6.9M South Main reno is not as necessary as the bridge repair (what would replacement cost, including making it wider?). If those low priority (from a safety stand poont) funds are reallocated then a big chunk of the cost for bridge repair, or replace, is covered. Well said. Funny how the layers of government cannot set priorities. Seems the government can no longer build walls or now bridges either. However, through it all, the government still gets paid, gets designer healthcare, and gets lucrative pensions. 11 million for 3 bridges. Division Street now has a beautiful smooth new road. Makes the bridge seem even worse! Definitely have to get this done. Between the bridge repairs and the upcoming push to rebuild the high school, the tax rate will be ridiculous. Cycling over the Division Street bridge is almost as good as a six-month dental check. It the cyclist makes it over the bridge without fillings falling out, then you’re good to go. On a more serious note, the state of infrastructure across the entire U.S. is abysmal. Now there’s an area for a useful jobs program. The Cottage Street bridge photo is not by Mr. Cowgill, according to the photographer, myself.